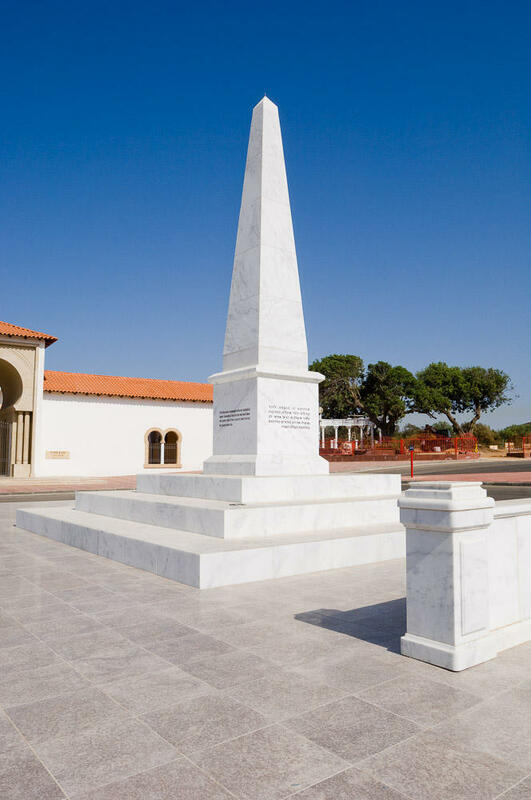 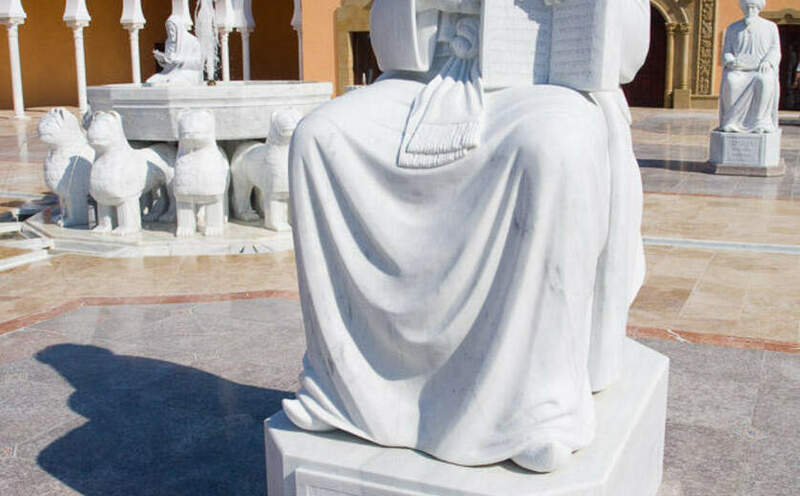 The Ralli Museums in Caesarea are part of five Ralli Museums in the world, an institution founded by Harry Recanati. 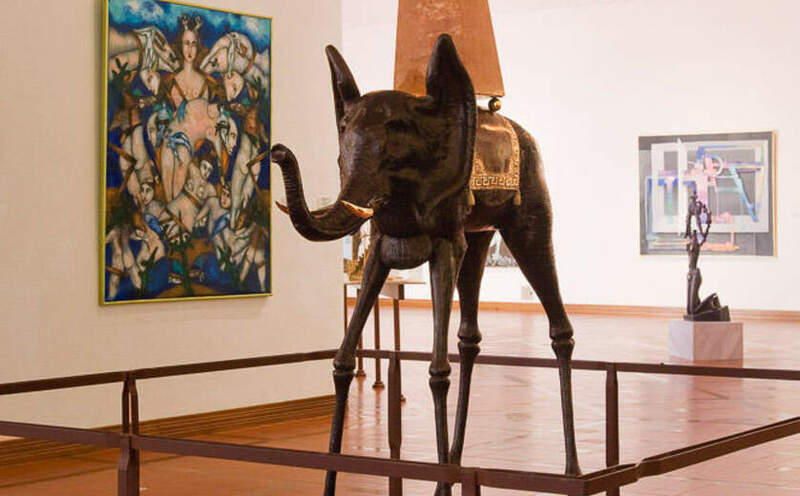 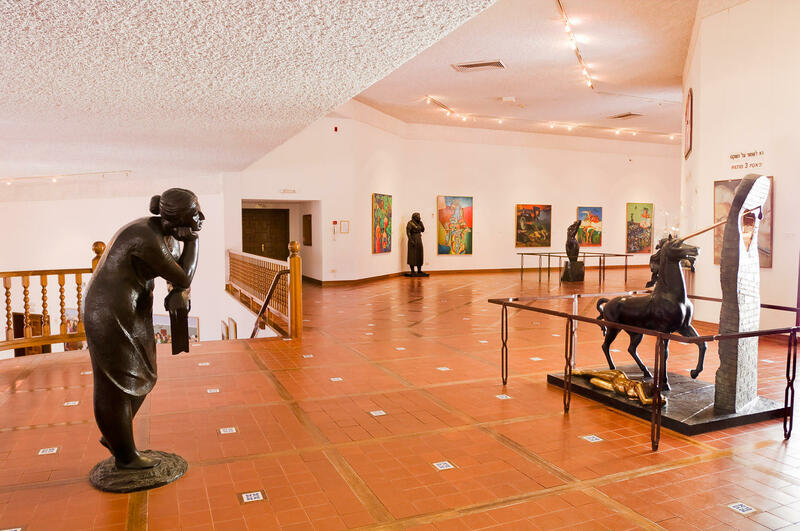 The main aim of the museums is to disseminate contemporary Latin American art. 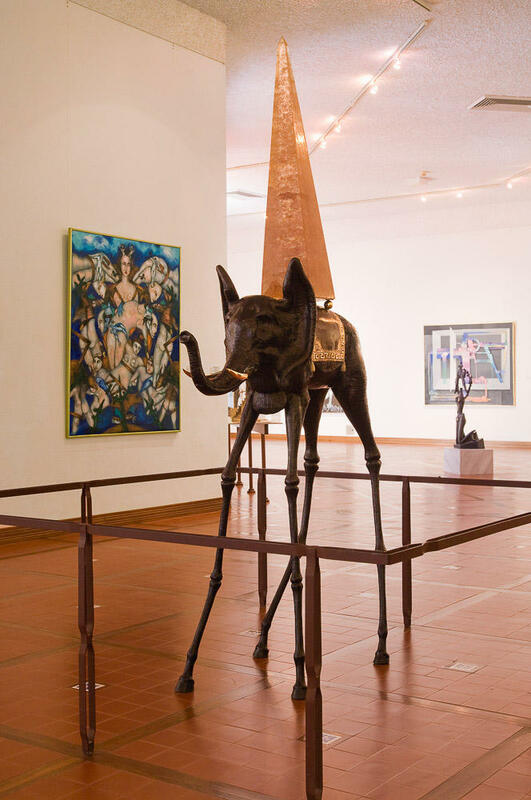 When appreciating Latin American surrealism, the folkloric motifs and the figurative emphasis, one can grasp the importance of these great works of contemporary art. 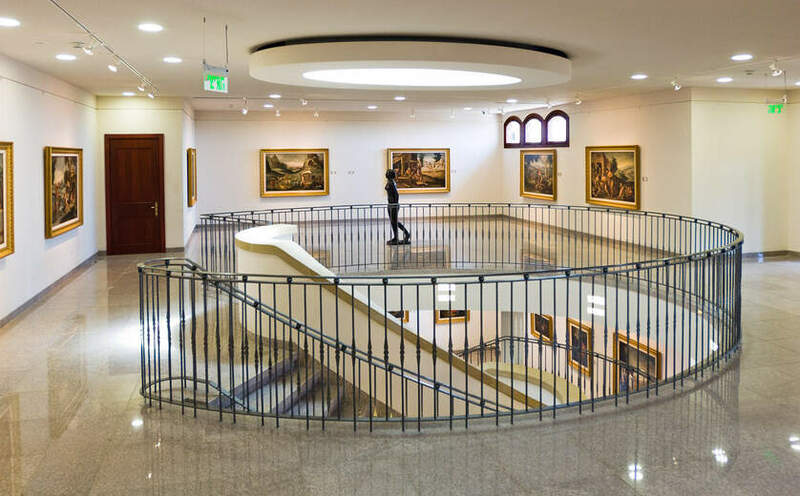 The museums were dedicated to the memory of the Jews expelled from Spain and Portugal during the Inquisition and of the Jewish community of Thessaloniki, which was almost completely exterminated in the Holocaust. 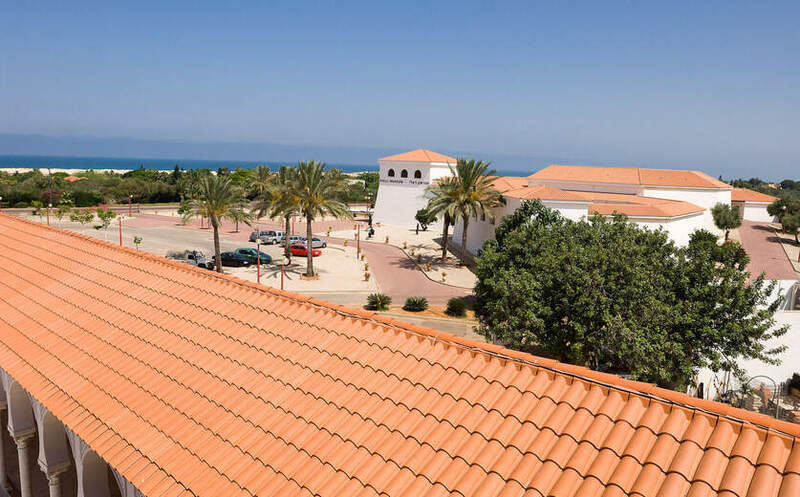 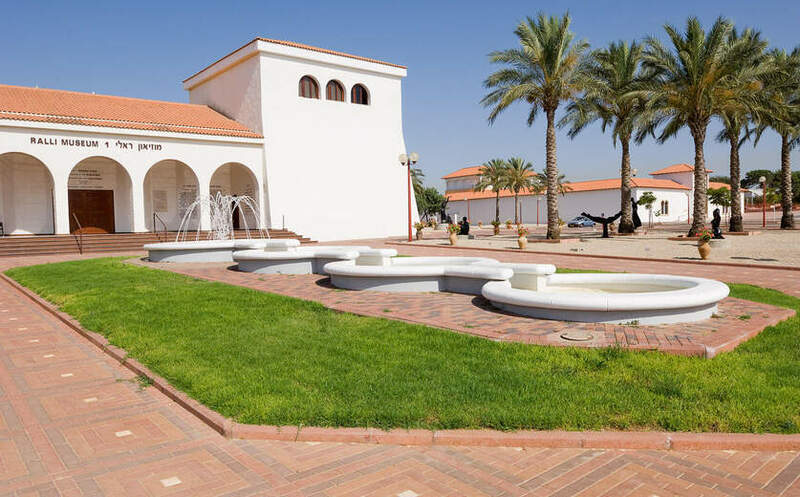 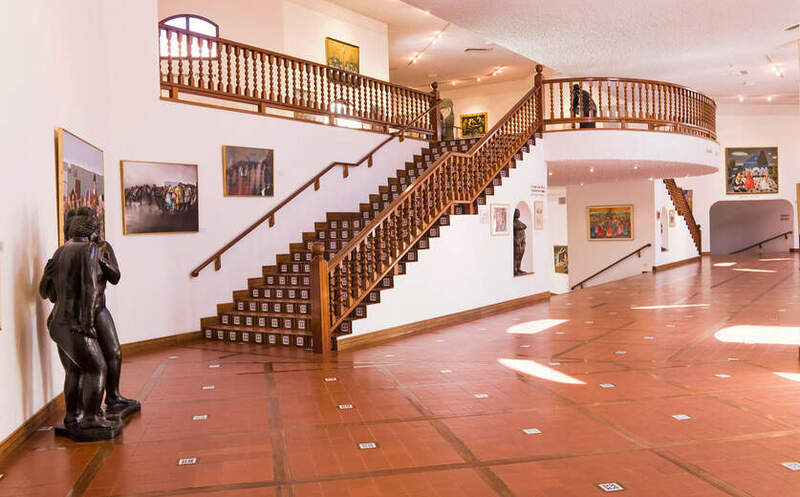 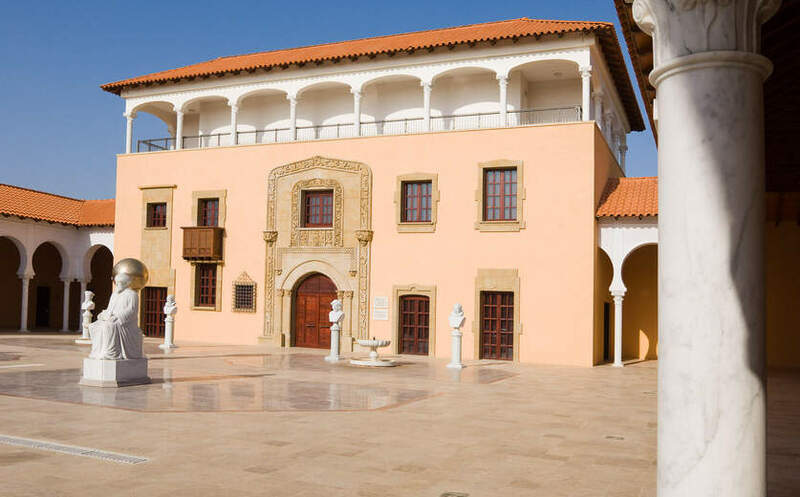 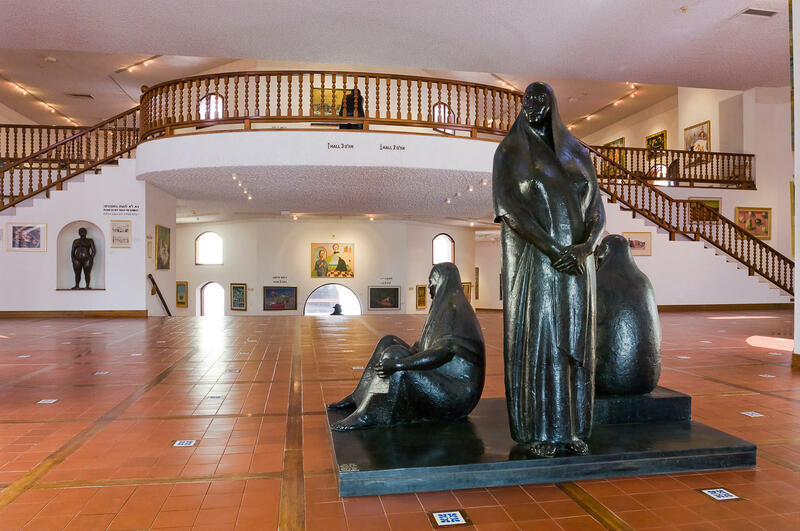 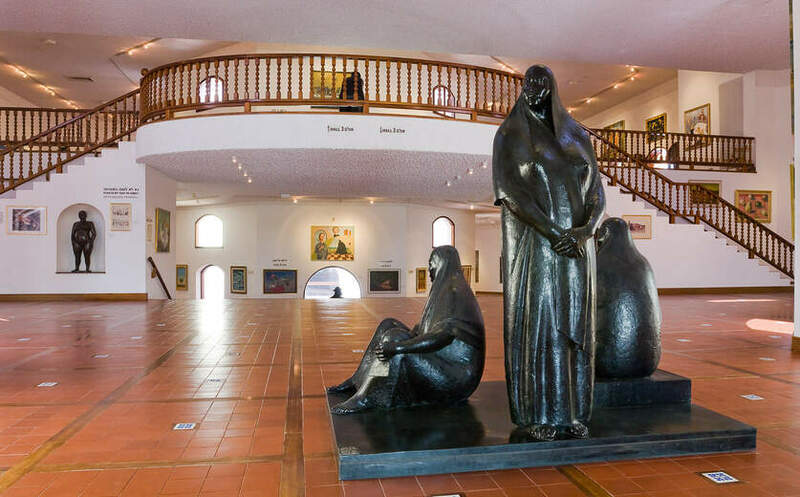 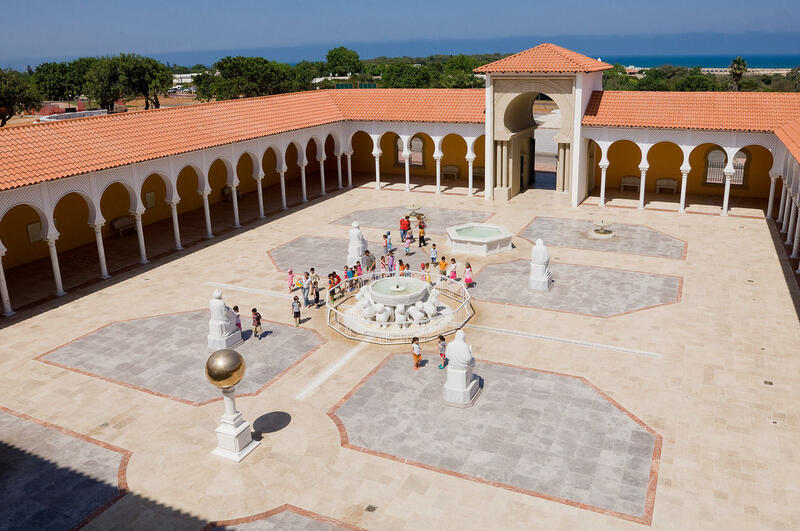 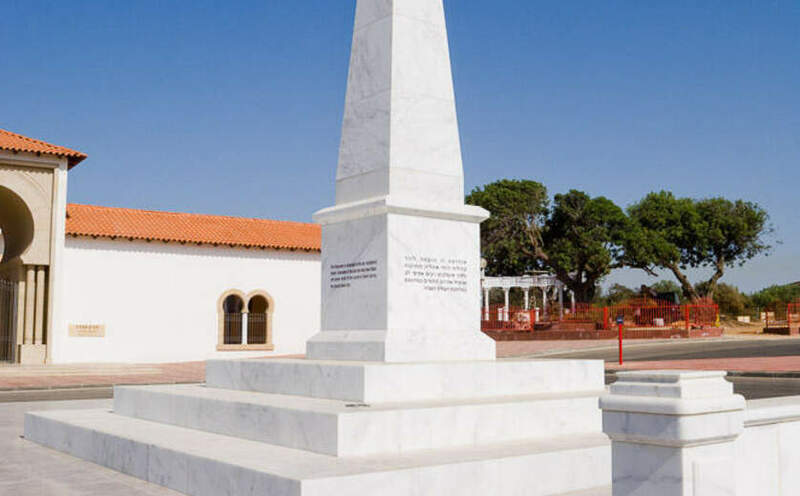 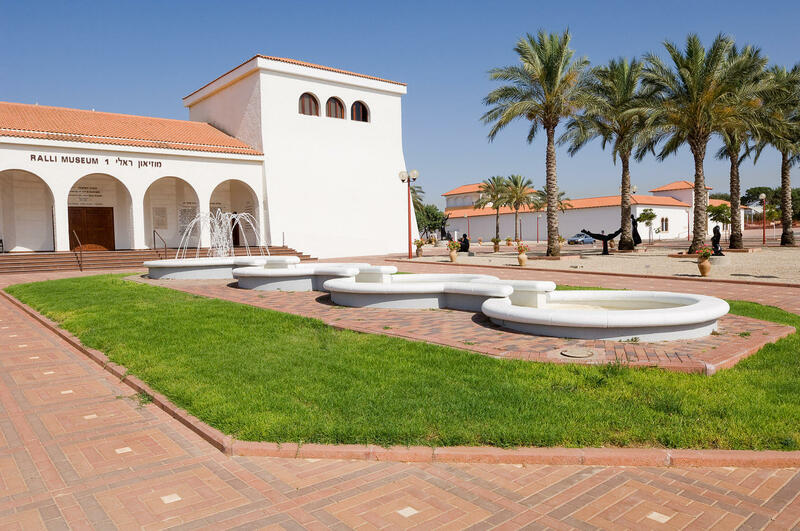 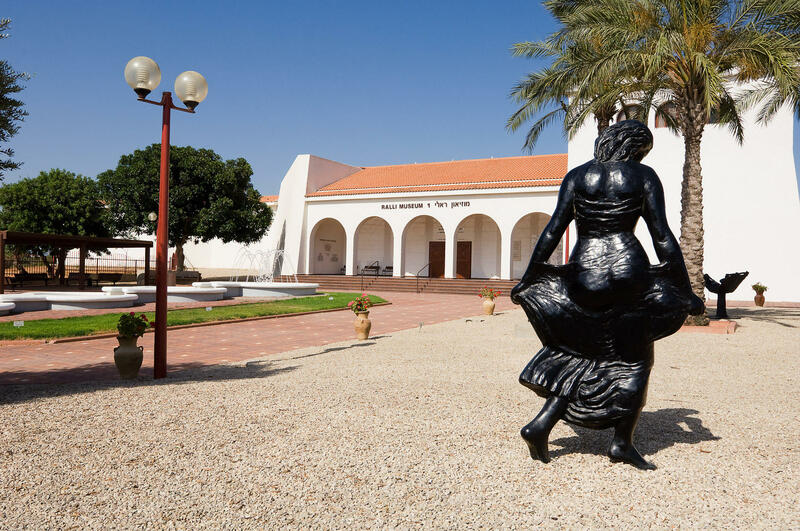 The first Ralli Museum in Caesarea was built in a Spanish colonial style that perfectly fits the pastoral landscape of Caesarea. 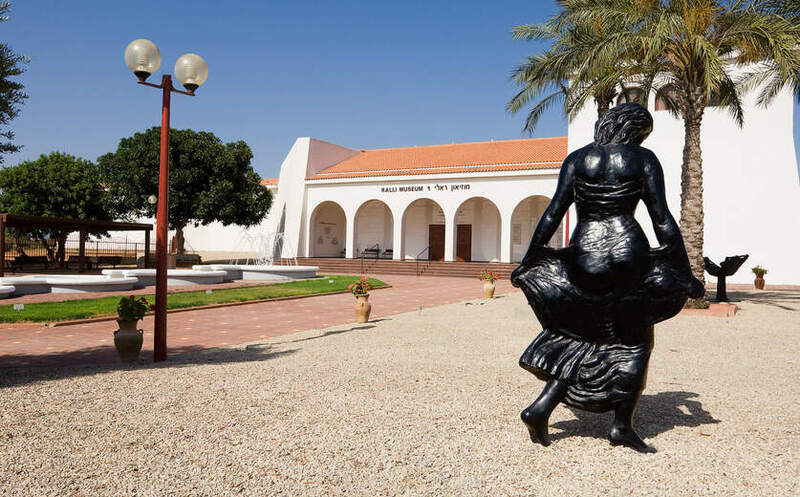 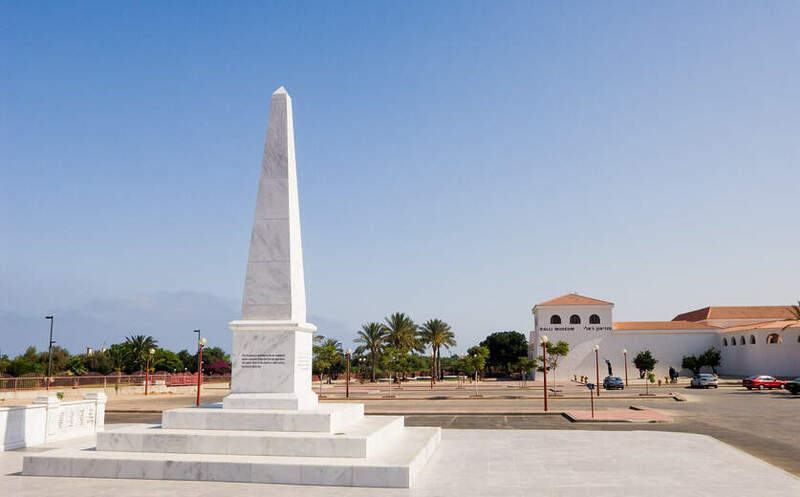 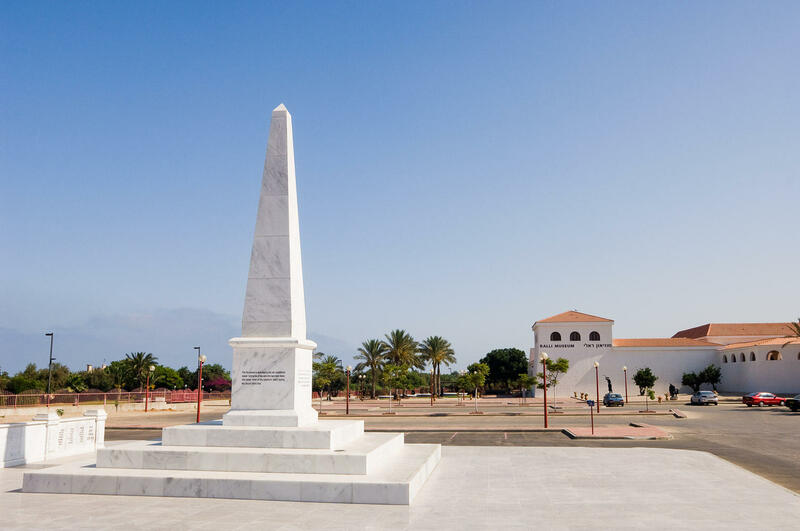 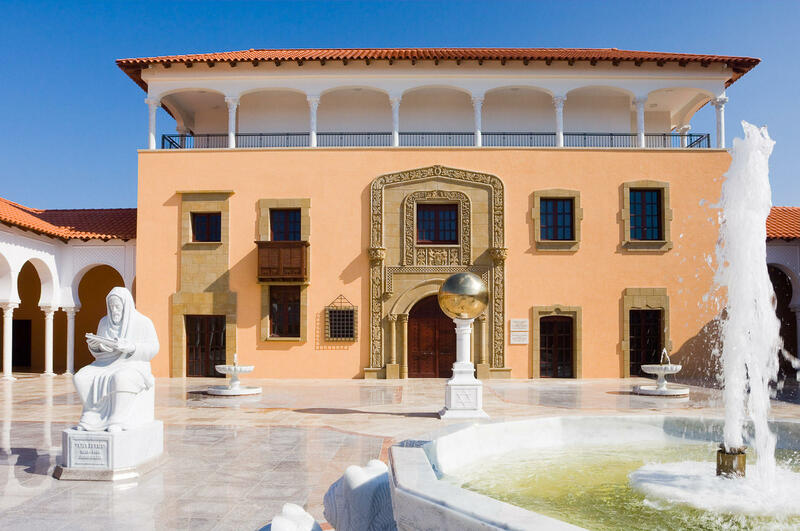 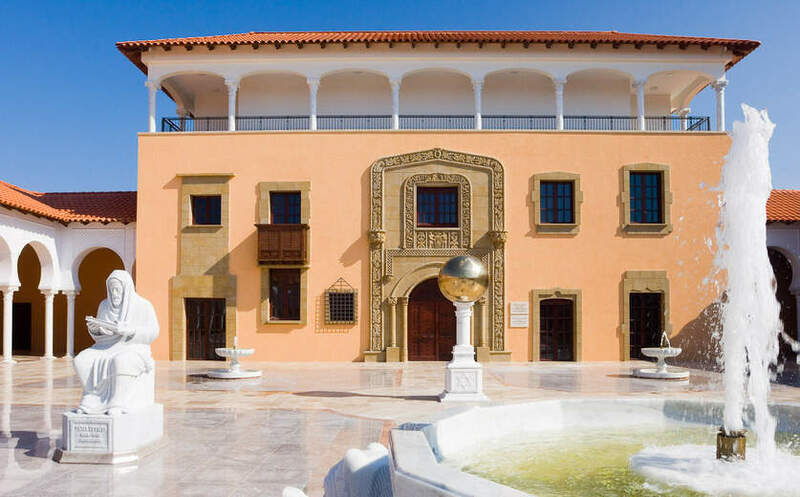 The size of the museum is about 9000 square meters, and the building is located in the center of a 40-hectare sculpture garden with palm trees, carob trees, citrus and olive trees. The museum has five exhibit halls as well as several octagonal patios with a central fountain. 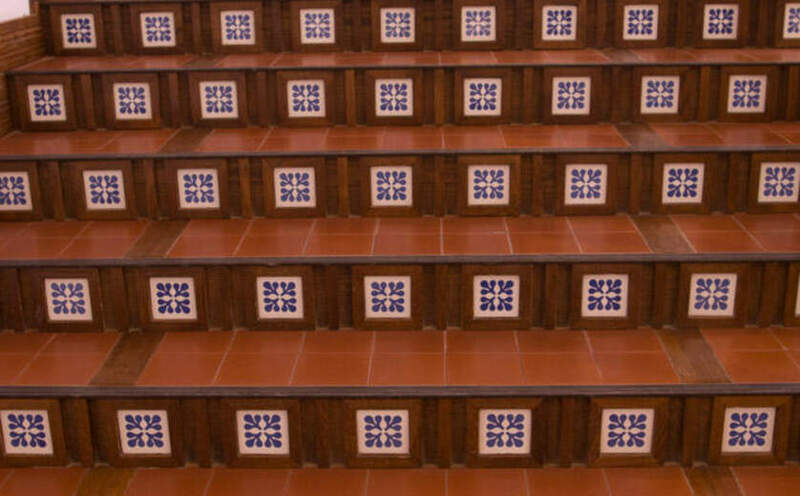 The floor is made of red terracotta tiles and frames consisting of strips of wood and white tiles with a motif of blue clover leaves. 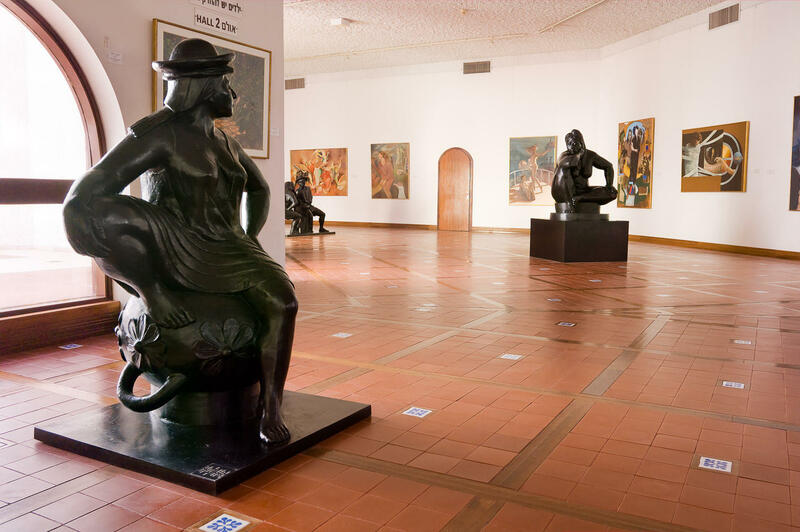 These beautiful tiles were especially designed in Uruguay for the Ralli Museums. The museum was conceived taking into account the light and weather conditions of the country. 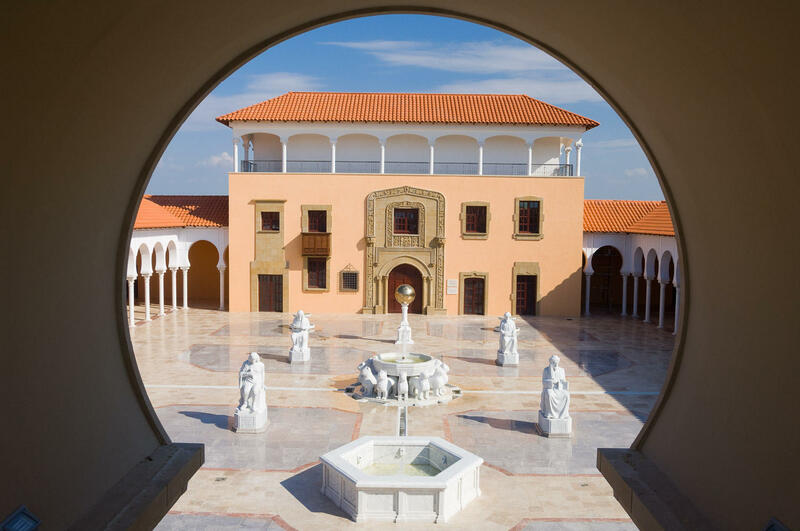 Natural light comes from large windows opening onto the courtyards. 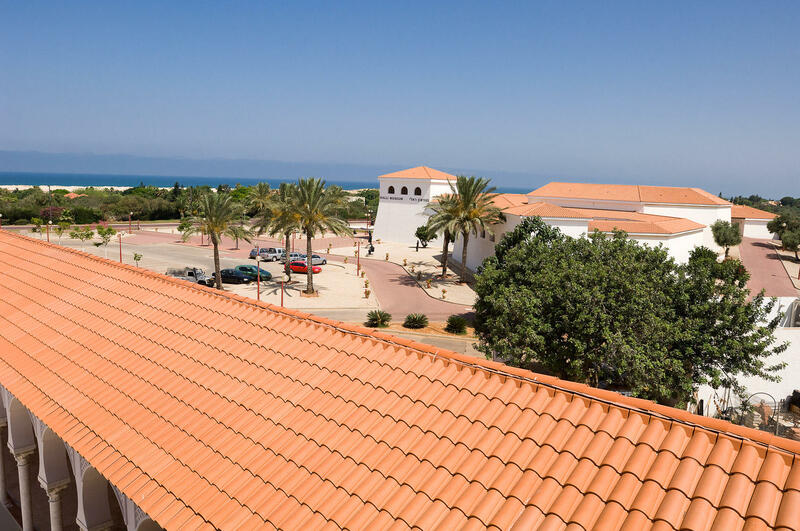 The upper level has one large sculpture square overlooking the sea, and through the arches one can appreciate the arches of the Roman aqueduct on the horizon. 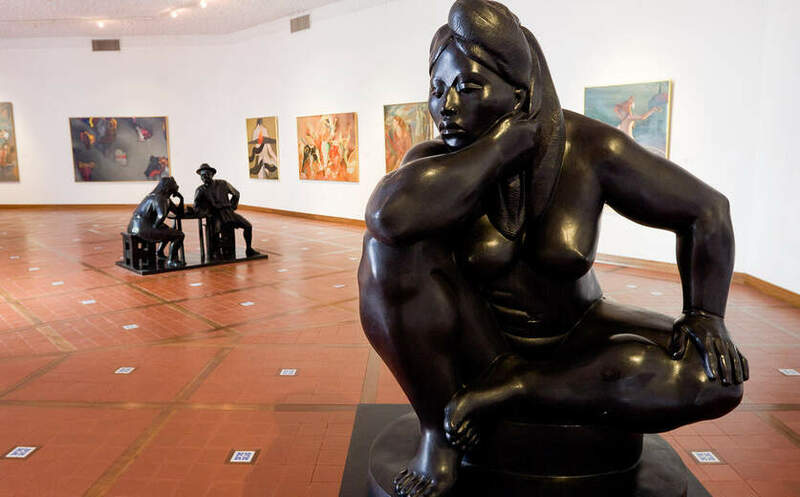 The square features sculptures in bronze, marble and acrylic by famous European artists such as Dali and Rodin, as well as Latin-American sculptors. 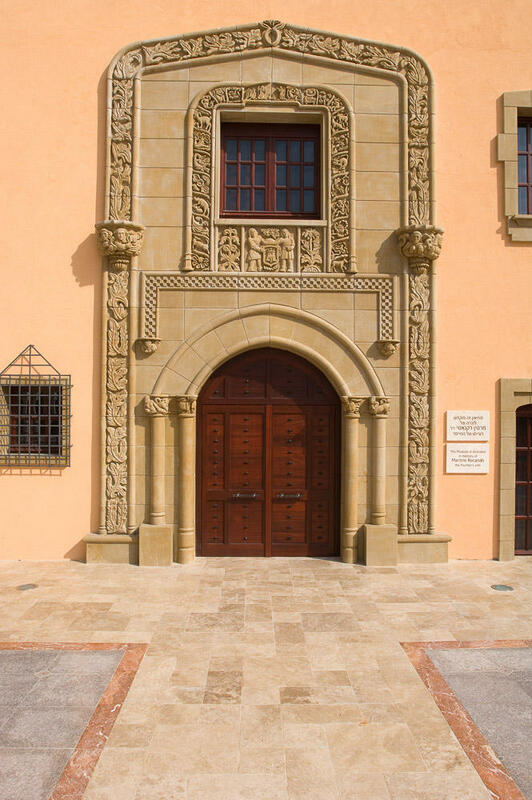 The second museum commemorates the great golden age of Spanish Jewry. 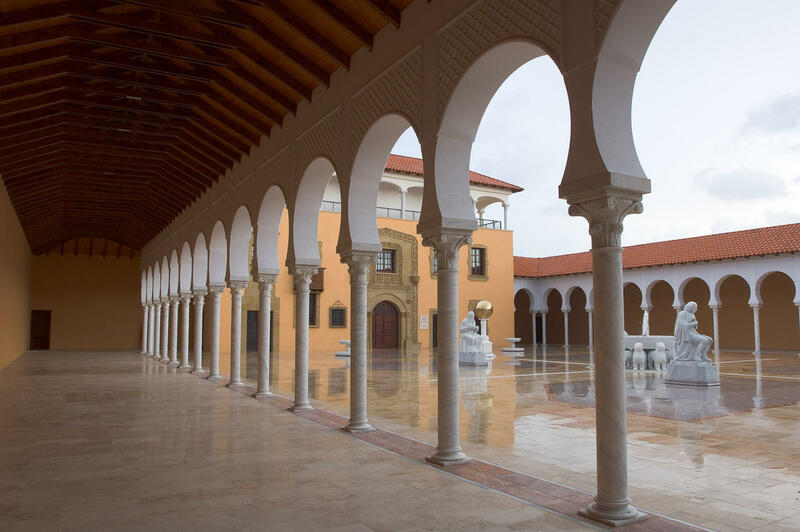 The architectural style is Spanish (Moorish) and in the center of the large central courtyard stands a fountain with 12 lions, as in the Alhambra Palace in Granada, Spain. 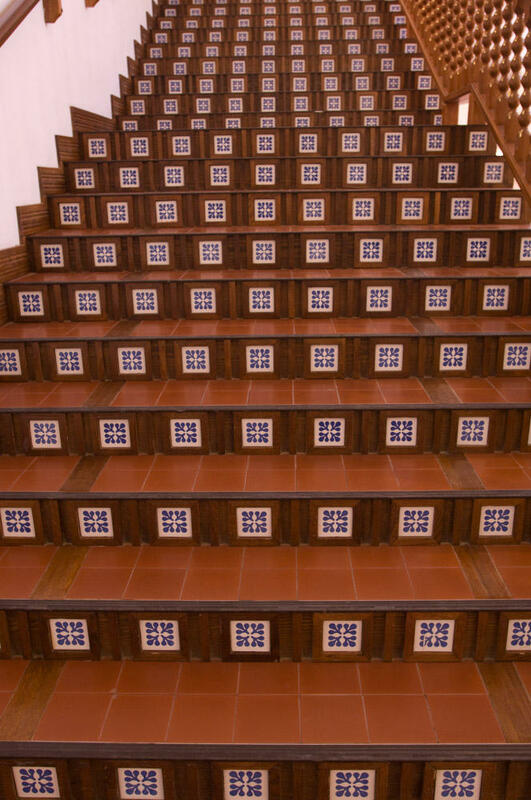 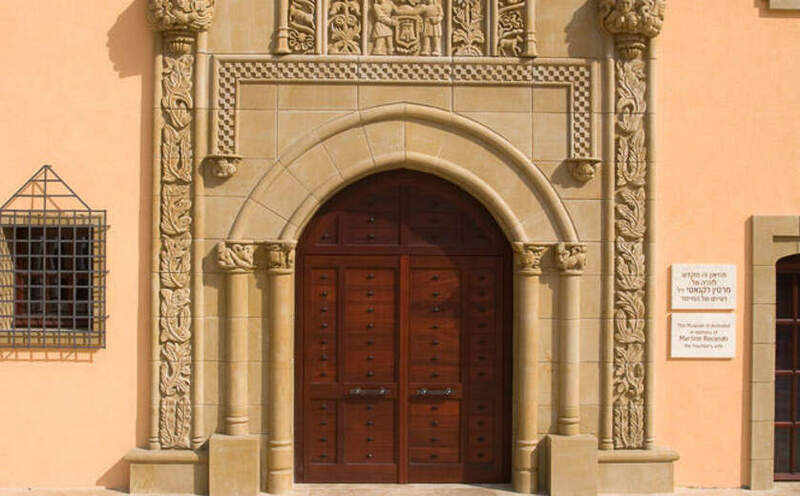 According to historians, this motif originated in the palace of King David in Jerusalem. 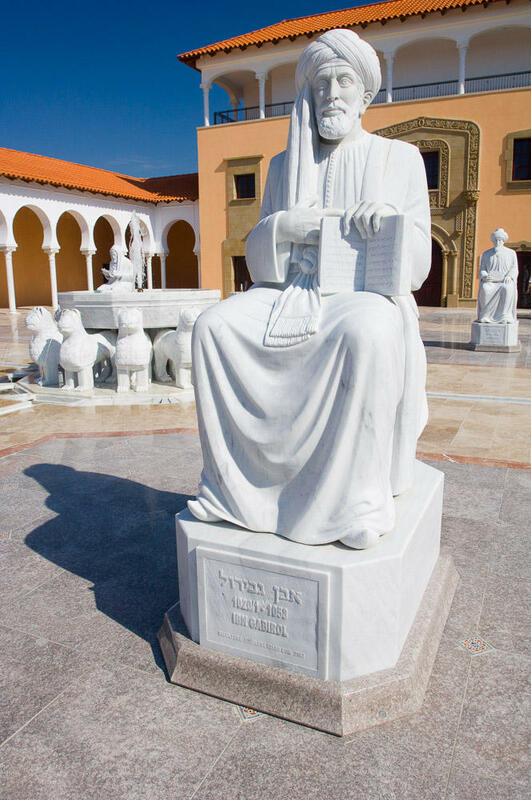 The fountain is surrounded by marble statues of Maimonides, Ibn Gabirol, Yehuda Halevi and Spinoza. 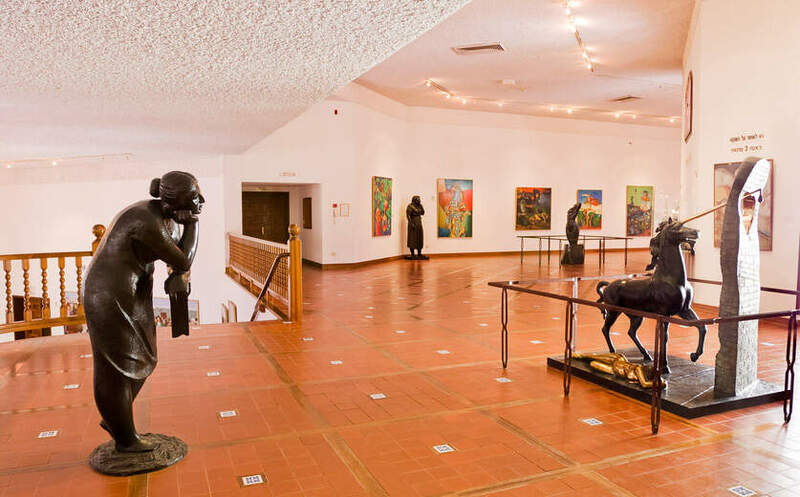 The building has four stories, and the exhibits consist of paintings with Biblical themes created by European artists in the 16th to 18th centuries. Both museums effectively integrate the visual arts: architecture, sculpture and painting.